Most people do not spend much time thinking about how eggs are produced across the United States today. As a family operation, the egg farms of Norco Ranch Eggs give the highest priority and attention to the process of producing eggs. This means that we acquire the best laying hens and care for them under a strict 3rd-party-audited animal welfare program in a state-of-the-art, clean and safe environment. We know what it takes to create good living conditions for our hens and welcome regular inspections and monitoring by such leading agencies as the USDA, the Global Food Safety Initiative, the Safe Quality Food Program and United Egg Producers. And we not only pass with flying colors, but we are typically a model for other egg farms to follow. In fact, the leading global food safety program, the Safe Quality Program, has certified all our plants at a level three ranking, even though many large grocery chains only expect a level two rating to accept eggs from their suppliers. Even with all the modern trappings that allow us to maintain such a strong edge over the competition, we still believe in the personal touch in everything that we produce. We regularly check the health and vitality of our hens, and we inspect every egg produced. We follow guidelines set by the USDA for egg inspection, checking for wholesomeness, texture, size, etc. to make sure so our customers know that they can always depend on the Norco Ranch brand for the best and most reliable eggs in Southern California. We constantly seek out Norco Ranch egg reviews to make sure that we are keeping our consumers satisfied. If we come across a negative Norco Ranch review, which is very rare, we take the necessary steps to correct the issue. If you want the best tasting eggs packed with the proteins to start your day off the right way, then look for Norco Ranch eggs at your retailer. And if you cannot find our eggs on their shelf, ask the manager to start stocking high quality eggs for their more discerning customers! At Norco Ranch, our favorite sound is the cracking of an egg and then the sizzle when it hits a hot frying pan. As a multi-generational family-operated ranch specializing in the production of eggs, we must admit that we are biased towards our own eggs: we work hard to make Norco Ranch eggs the highest quality eggs available to the consuming public and we encourage you to give our Norco Ranch eggs a break and give them a taste. Our egg farms are committed to ensuring that our laying hens are provided with ideal laying conditions and are regularly monitored and certified by leading organizations, including the USDA, the Global Food Safety Initiative, and the United Egg Producers. However, we do not simply go to such extremes to please the inspectors (which we typically pass with flying colors! 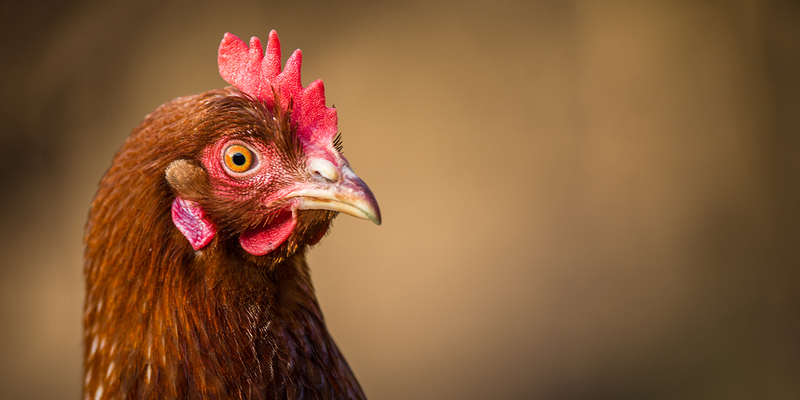 ): we want our eggs to be deemed the very best eggs to purchase in the marketplace and to use in daily meals in thousands of households across Southern California. And we are proud to consistently achieve this goal. For more than 40 years, producing premium quality eggs has been the mainstay of our business model and continues to be so to this very day. We also anticipate that in the future, we will remain one of the cherished leaders in the egg producing industry through our hard work and dedication to combining the best practices along with maintaining safety and health standards. If you come across Norco Ranch eggs reviews or Norco Ranch reviews, you will find a similar theme running through them all, which is that we do indeed produce some of the highest quality eggs you can find today, always fresh and always delicious. Heat up a frying pan and add a little olive oil. Crack one or two Norco Ranch eggs and cook as desired. About one minute before the egg is finished cooking, add a slice of cheddar or Monterey jack cheese and let it melt over the egg. Toast an English muffin and, using a spatula, lift the egg out of the pan and set in in the center of your muffin. Voila! You have just created the best tasting egg on a muffin you have ever tasted! Enjoy! As leading and respected producers of eggs, we hear it all the time: Which came first, the chicken or the egg? While no one can definitively answer this perennial puzzler, at Norco Ranch, the chicken definitely comes first for us! Our hens are cared for under a strict 3rd-party-audited animal welfare program in state-of-the-art, clean, safe environments with quality feed and fresh water, which translates into high quality eggs. Of course, our eggs are very important to us as well and we have the full knowledge that our eggs will end up on the plates of thousands of consumers each day, we focus on making certain that our eggs are of a consistently high quality. We achieve this goal by creating the most ideal conditions for our laying hens, as well as feeding our chickens the best quality grains possible. As a family operation that has been in business for multiple generations for close to half of a century, we know our business inside out and are committed to high quality. However, this does not mean that we work behind closed doors. 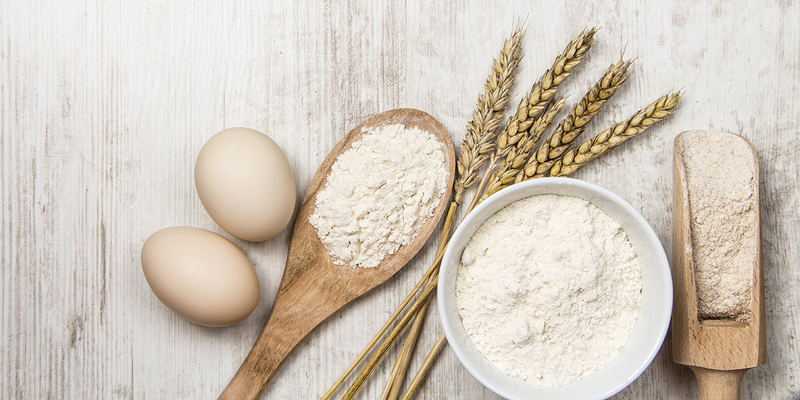 We have implemented the latest and greatest quality assurance and food safety standards and we are regularly monitored by organizations including the USDA, the Global Food Safety Initiative, the Safe Quality Food Program and United Egg Producers. However, simply meeting the standards of outside inspectors is merely one component of making and supplying the best possible eggs in the marketplace. Packaging also gets top attention at Norco Ranch: we use recycled and nontoxic packaging, while remaining committed to employing methods that use minimal materials. In the end, the proof is inside the shell. 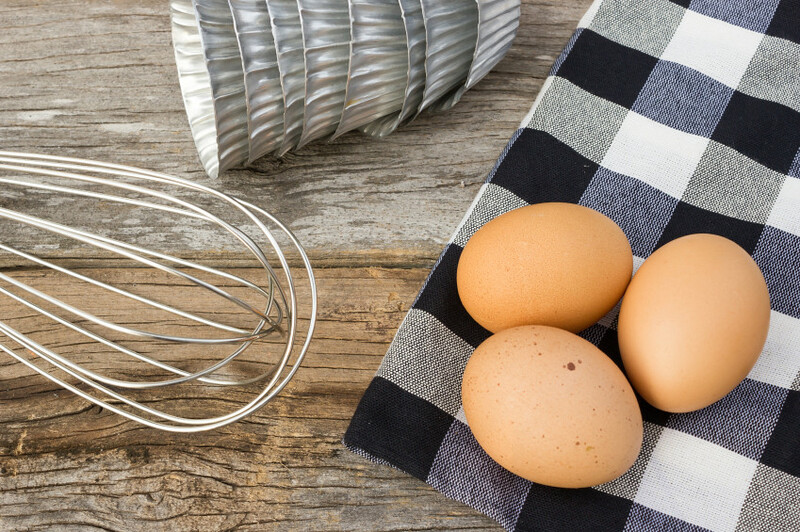 Crack open one of our eggs and beat, scramble, whip, poach, blend, or simply fry one of our eggs and give it a taste. In addition to benefiting from the protein that each of our eggs supply, you will also be pleasantly pleased at the farm fresh taste that Norco Ranch eggs deliver. If you run across any Norco Ranch reviews or Norco Ranch egg reviews, you will be able to read the praises of our eggs sung by both distributors and end users. As to the classic conundrum of which came first, the chicken or the egg, at Norco Ranch the chicken ranks higher, but it is our customers who always come first! At Norco Ranch, eggs are our business. And we take our business very seriously! This is why we strongly believe in only delivering quality eggs to our customers, who in turn can take pride in knowing that their direct customers always end up with the best quality eggs possible. Likely you have heard someone referred to as a “good egg” which generally refers to an individual who is well liked and appreciated and who also has a good and easy going personality. For us, every egg that our hens produce are good eggs for several important reasons. First off, our laying hens are cared for under a strict 3rd-party-audited animal welfare program in state-of-the-art, clean and safe environments. Secondly, we provide them with quality feed and fresh water to make sure they get the nutrients they need. Finally, we work carefully and attentively when collecting the eggs. We examine each egg to ensure that there are no cracks or discoloring that may indicate a subpar egg; of the few that we do find, we set them aside so that our customers are guaranteed that each egg from Norco Ranch is ideal and delicious. What this means for each customer is that they can depend upon using and eating only the best quality eggs when they buy eggs from Norco Ranch. While a good egg starts with Norco Ranch eggs, you can make a fantastic egg with the right recipe. For instance, while we all know how to scramble eggs, how do you make your scrambled eggs stand out from the crowd? Add a few tablespoons of Parmesan cheese along with a dash of milk, some salt and pepper for a unique taste that makes your breakfast plate extra special! A fun and easy dish that has your kids begging for more is the classic Egg in a Frame. Simply take a slice of bread (white, wheat, sourdough, or other bread styles work fine as long as it comes in a loaf) and cut a square out of the middle. Drop the “bread frame” in your frying pan and then crack an egg and pour it in the center of the frame. Cook it just like a fried egg, flipping halfway through. Your bread is perfectly toasted, you have a lovely fried egg, and a host of happy eaters! As you can see, making eggs the center of your next meal can be both fun and tasty. 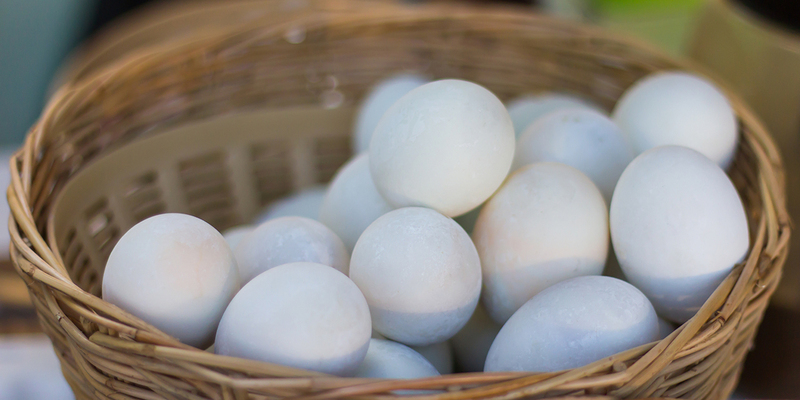 Want to learn more about Norco Ranch eggs? Look for the many positive Norco Ranch egg reviews and Norco Ranch reviews to learn why we stand head and shoulders above the rest of the egg producers.